Accountability – Rangatiratanga We believe that access to quality rehabilitation services is a right for children and adults in New Zealand. Supportive – Manaaki We commit ourselves to a culture of aroha; generous service, care, hospitality and support. Passion – Matapaki We have a passion for learning and sharing knowledge Integrity – Mana We aspire to earn trust by being honest, reliable and accountable Respect – Manaaki We will recognise and value the mana, strengths, goals and aspirations of our partners – Clients, whanau and funders Excellence – Hiranga We commit to good practice and the science of rehabilitation. 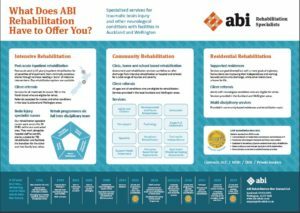 ABI Rehabilitation has been providing Traumatic Brain Injury (TBI) and Stroke rehabilitation services in New Zealand for over 20 years and is the only ACC contracted intensive rehabilitation provider for Traumatic Brain Injury in the North Island. We are passionate about delivering a service that exceeds the expectations of the client, families- whānau and funders and we are dedicated to continuous quality improvements. 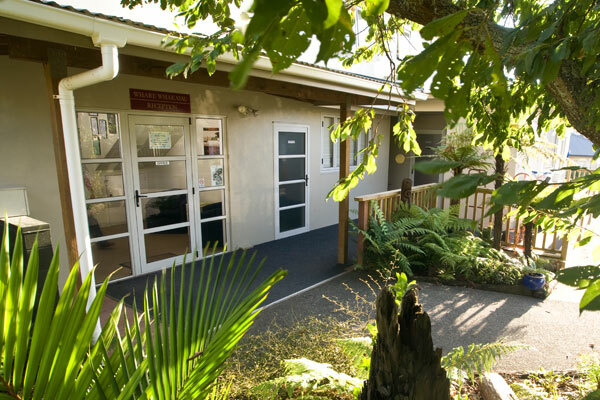 ABI Rehabilitation offers the following services in both Auckland and Wellington: Intensive inpatient rehabilitation, Residential supported living and Community rehabilitation. Private insurers and private funders.